Aligning freedom of religion or belief policies with international human rights standards often involves a difficult balancing act among rights, and likewise between religious traditions and national security. These and other complex issues are surveyed in Freedom of Religion or Belief and the Law, along with the role of the law in finding solutions that are effective, fair and sustainable. 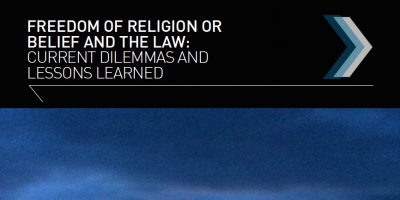 Informed by consultative workshops with funding support from the Government of Italy, Freedom of Religion or Belief and the Law emphasizes the complex issues surrounding law and religion.